South Africa’s trade with the BRIC countries grew by 11 percent to $31.65 billion in 2012. South African President Jacob Zuma said the BRICS, formed a “serious grouping” that helped promote trade and that the countries were ready to launch a developmental bank. “BRICS is not a talk show. It is a serious grouping. I’ve just identified here that ever since the BRICS grouping has been established, intra-trade has grown...But also bilateral trade has grown. That indicates [it is] not a talk show,” Zuma was quoted as telling reporters in Pretoria, by the official 2013 BRICS summit website. The fifth BRICS summit, the first to take place on African soil, begins today in Durban. Along with the heads of government of Brazil, Russia, India, China, and South Africa, 14 other heads of government from African countries will attend the summit. Zuma said a declaration on strategic partnerships between Russia and South Africa would be signed in fields such as defence, education, energy, science, technology, and transport. South Africa will chair the group for 12 months after Durban and then hand over to Brazil. A total of 125 delegates from China, 125 from Russia, 74 from India, 60 from Brazil, and 242 from South Africa will be part of the discussions at the summit. A BRICS Business Council will be launched to strengthen business ties among the five countries. Business will also deliberate on the envisaged BRICS cable – a high capacity optic fibre cable of 28 400 kilometres – linking the countries. 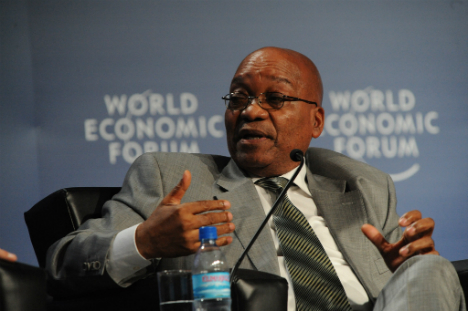 The South African President said the establishment of a BRICS development bank would mobilise financial resources for infrastructure and sustainable projects for member countries and other emerging economies. Finance ministers from the 5 countries would present the results of a feasibility study on the bank. In 2012, South Africa’s total trade with BRICS countries stood at $31.65 billion, a growth of 11 percent from the 2011 figure. South Africa’s bilateral trade with each member of the BRICS also grew in 2012.